Divorce lawyers understand that they work with clients during one of the most difficult times of their lives. During such a stressful time, it may be difficult to think clearly and it’s all too easy to make mistakes that may cost you. Please do yourself a favor and listen carefully to the legal advice of your family law attorney. He or she will let you know best how Texas family law affects your case filed in The Woodlands. Your lawyer can also help you avoid the kind of mistakes which cannot be remedied. For example, in one recent case, the parties were arguing over the amount of child support; my client wanted to pay less, but his wife wanted him to pay much more (and she was also unrepresented). So, in an effort to save my client fees in litigating the matter, I suggested that they split the difference, but also call the payment above our first offer “alimony” instead of child support. They both agreed. 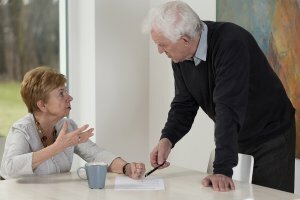 What the wife didn’t know is that my client could now the deduct alimony off of his taxes as it was imputed as income on her own taxes. With child support, he couldn’t do that. It was an honest compromise, but the wife wasn’t getting all of the benefit from it that she expected, and my client was not putting into it all that he thought. 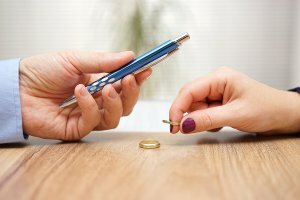 Divorce lawyers often work with clients who prefer to avoid communicating with their soon-to-be ex. While this is understandable, that isn’t a good reason to avoid giving mediation a sincere try. Even in contentious divorce cases, mediation may be an effective way to resolve marital matters, accelerate the divorce process, and avoid the stress of going to court. Mediation is not binding, so you have nothing to lose by giving it a try. Consider talking to your divorce lawyer about preparing for your mediation. On the other hand, there are situations where mediation is not the best route for resolving your divorce case. For example, if you were affected by domestic violence, then mediation might not be a good option for you. To protect the kids, it’s best to avoid mentioning the divorce until you’re absolutely certain that you will move forward with the process. After this point, trying to hide the divorce from the kids may only confuse them. Ideally, both parents will sit down with the kids and explain that they will no longer live together. Give the kids plenty of reassurance and remind them that both parents still love them and that this is “not the end of the world.” Remember, your desire is to allow them to grow up and hopefully have successful marriages themselves. So avoid burdening the kids with the details of the divorce; bad mouthing the other parent; or perhaps telling them that your spouse was unfaithful. Such “jabs” at your ex will only inflict psychological harm on those who you rightly love the most. Your divorce lawyer may not be the only professional you need to consult. 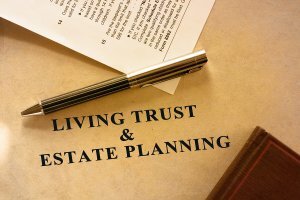 Divorce sometimes affects your taxes, investments, and retirement accounts. It will also substantially change your budget. Your tax advisor or financial planner can help you sort through these issues.